Southbound I-35W is always busy during the morning rush. Throw in a crash and things can come to a standstill. That's the case at 7:30 a.m. as a wreck near 95th Avenue has traffic barely moving. The commute is slow all across the north metro where roads are wet congestion was building on a number of routes. Some of the heaviest traffic is on eastbound I-94 from Hwy. 101 down to the I-694/494/94 split in Maple Grove. That's 15-minute trip. 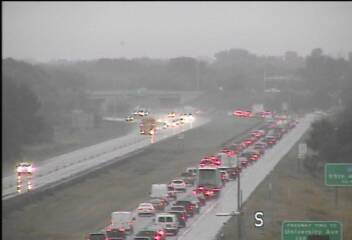 The usual slow and go traffic is in place along I-694 between Hwy. 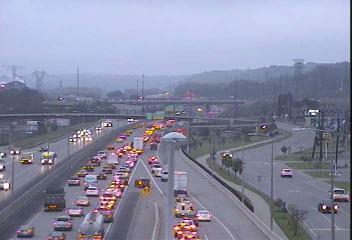 252 and I-35W in both directions while southbound Hwy. 100 is running below the posted from I-694 down to I-394. In Minneapolis, prepare to hit the brakes on westbound I-94 from Hwy. 280 to Hennepin Avenue. Westbound I-94 become sluggish from Hwy. 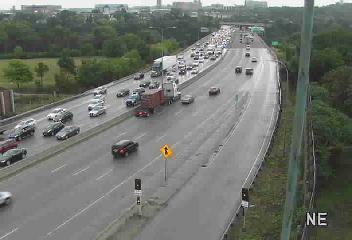 61 into downtown St. Paul and levels are building on northbound Hwy. 61 approaching I-494 in Newport. The jam kicks in at Glen Road.